Save the Date! Stay informed about events happening at the course! Visit our online store to purchase our Punch Cards, Gift Cards, and more. Stretching over 167 acres of naturally wooden rolling terrain, Bent Tree Golf Club is one of the best championshp courses in the Columbus area. Designed by Dennis Griffiths, this top rated golf course features bent grass tees, fairways and greens as well as many bunkers and abundant water. In addition to the Bent Tree Golf Club’s championship golf course, we offer the amenities of an elegant clubhouse with a relaxing outdoor patio, a grill room for casual dining and a beautiful banquet facility for up to 180 guests for your corporate outing, wedding reception or business meeting. 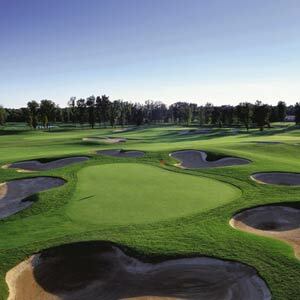 Practice facilities are also available for you to hone your game. Conveniently located one mile east of I-71 on State Route 36, we are just 10 minutes north of the Polaris area, 20 minutes north of Columbus, and 15 minutes from Delaware. Looking for the perfect location for your wedding reception? Click here for more information about our All-Inclusive Reception Packages (the best value in the Columbus area!). Our picturesque banquet room seats up to 180 guests, and features a parquet dance floor, portable bar, and customizable seating locaton. Ceremony locations are also available inside and outside, with fantastic views of the course! If you are planning a Corporate golf outing, fundraising event, or just a fun group outing, we are the Columbus area “Outing Experts!” Click here for more details about holding your event at Bent Tree – with complete service from beginning to end, including practice facilities & dozens of customizable meal packages, we make your event easy and enjoyable for you and your guests!